The Las Vegas tech scene has an impressive list of Meetups to learn anything from how to 3D print to how to learn to code. “While getting to know many of the local techies Downtown and throughout the Valley, one thing I hear often is how inclusive this community is compared to other tech cities. Many newcomers and visitors say they are surprised when they’re meeting with other entrepreneurs and hear, “How can I help you?” promptly following their company pitch,” wrote Nicole Ely, Interactive Producer for Vegas Seven wrote in this piece. 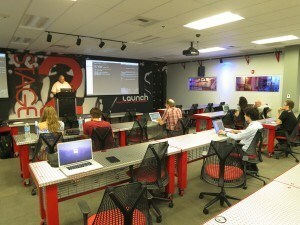 Check out our calender here on VegasTech.com to see additional Meetups happening in the #VegasTech community!